Like many DIYer's I like the look of painted furniture, but I also like natural pieces. 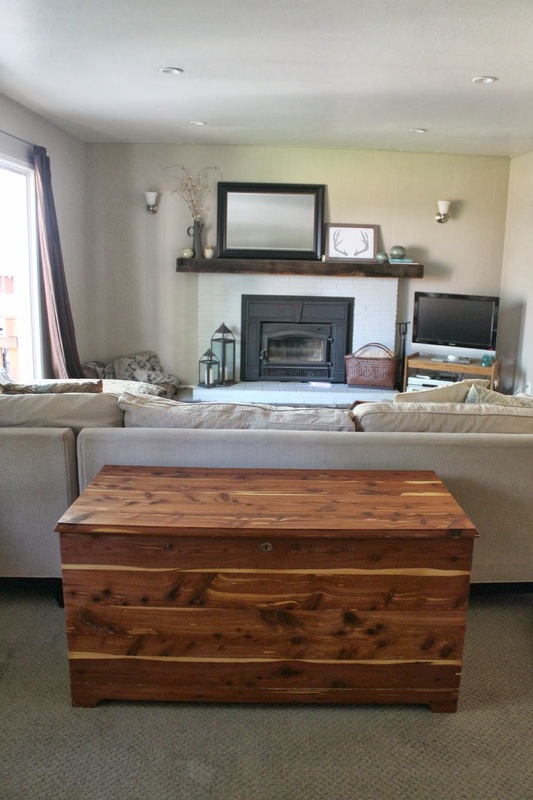 A few summers ago I acquired a cedar chest hand crafted by my grandmother's brother at age 18. After living at my mom's for many years she was ready to pass it along. While in her care she decided to paint it. At one time I'm sure the antiqued painted look was popular/in style, but it's not our cup of tea. So after a year or so of talking about refinishing it I finally decided to tackle the project. Let's get this party started with a before shot of the beloved chest. Do not skip on the gloves the remover will burn your skin. You may even want to wear a face mask and protective eyewear. Once I had my gloves on I poured the remover into a metal container and applied with a paint brush to a small area. Making sure to brush in one direction and with the grain. Next I left the area and let the stripper work it's magic. After a few minutes the paint began to bubble. The stripper was working. After 15 minutes I tested a small area with the scraper to see if the paint was ready for removal. Once it was ready I removed the loosened finish by gently scraping with the wood grain. I used a toothbrush and toothpick to help remove old finish buried in the edges and grooves. We had to repeat step one and two a number of times. Once the majority of paint was removed we busted out the orbit sander and went to town. After a few hours of sanding she was ready for a nice coat of tough oil. Of course I though about painting or staining the chest again, but look at how clean and fresh it is now! Lastly I wiped down the chest with a tack cloth to remove excess dust. Then I applied two coats of tough oil (as directed on the bottle) and called it a day. Currently it's living behind our sectional in the living room, but who knows where it will be in a year from now. What are you are currently bringing back to life? 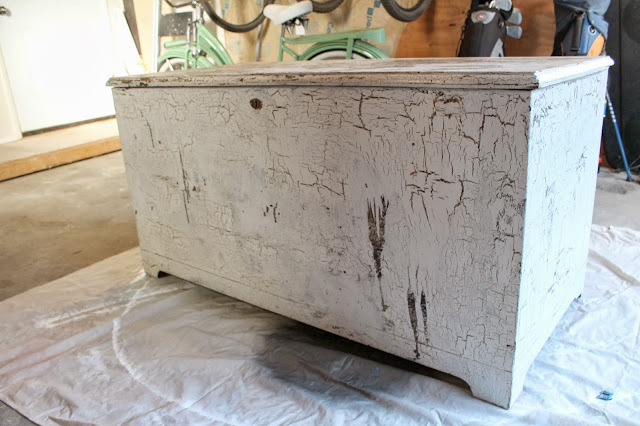 Would you have repainted or stained the chest? wow tiara what a project and what a wonderful finished look! i like the more natural look i mean it is cedar after all let the beauty of the wood shine through! Thanks Meg. My mom said it looks better now than before she even painted it! This is awesome!! Found you over on Henning Love and I am your newest follower! 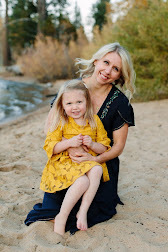 I live in the Bay Area and I always like to find other Northern CA blogger girls! Thanks for the stopping by! I love Meg's blog. That wood is just gorgeous! I definitely think you made the right choice by letting it shine as is. Thanks! I'm so happy that I finally refinished it.